Social media often allows us a unique glimpse into the life of tennis players. Whether it's Sara Errani and Serena Williams discussing Candy Crush Saga, or Andy Murray being bored while not competing - we'd never find out about it without twitter. The trend started with Blaz Kavcic, after his 6-2 6-2 6-2 win over James Duckworth in the first round of the French Open. It continued with - how not - Fabio Fognini, after his 6-2 7-6(3) 2-6 6-1 win over Lukas Rosol (denying a possible Nadal-Rosol rematch). The pic was posted by Marc Boada, Fognini's physio. The best bromance on the ATP tour wasn't far behind - Benoit Paire and Stanislas Wawrinka posted ice bath pics of one another (though much more covered, to the chagrin of many). And finally, the cherry on top - a video! For his Eurosport segment "Tipsy Time", Janko Tipsarevic filmed Viktor Troicki getting into the ice bath, with a guest appearance by Novak Djokovic. The only question left to ask... who's next? June 3 UPDATE: Well, apparently the next one is Nicolas Mahut! He gives us two photos for our consideration. And now, for the poll - whose ice bath did you like the best? 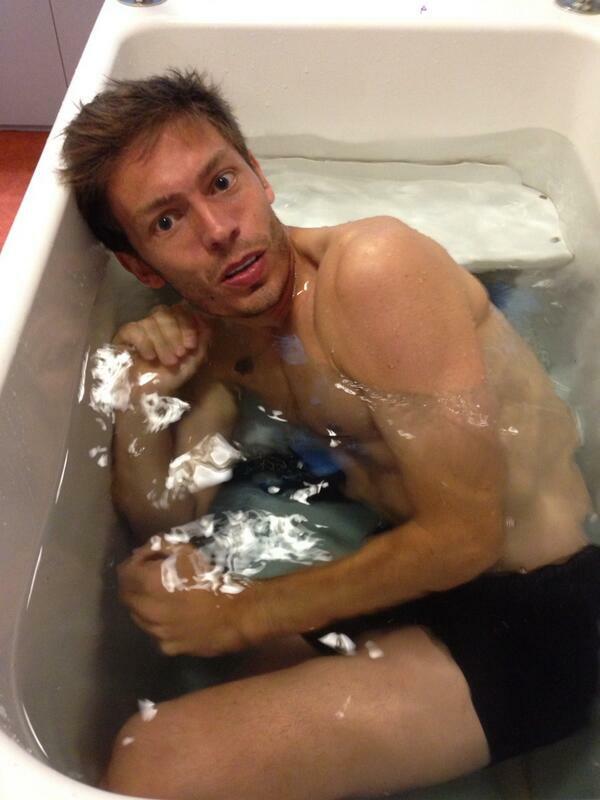 Whose ice bath photo/video did you like the best? we want women's bath !!! !